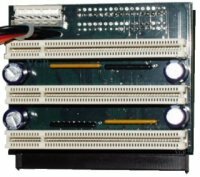 G-REX 4000T is a PCI board specially designed to be used in the original Amiga 4000 Tower. With G-REX 4000T, you can use up to 3 PCI cards simultaneously with your Zorro cards. All Zorro and video slots remain fully functional, so cards depending on the Amiga's video signals (e.g. Video Toaster or de-interlace cards) will still work with this board. Features three PCI 2.1-compliant slots, 32 bit DMA mode on all slots, data transfer rates of upto 50 MB/s, 1.76 GB address space without bank switching. Requires either a Cyberstorm PPC or Cyberstorm Mk III to work. G-REX CD-ROM with driver software included. G-REX 4000D PCI is a bridge board specially designed to be used in the original Amiga 4000 desktop computer, replacing the original Zorro daughter board. 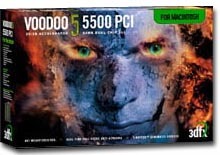 With G-REX 4000D, you can use up to 4 Zorro cards and/or 4 PCI cards! G-REX 4000D also features a video slot, so cards depending on the Amiga's video signals (e.g. Video Toaster or de-interlace cards) will still work with this board. Features four PCI 2.1-compliant slots, 32 bit DMA mode on all slots, data transfer rates of upto 50 MB/s, 1.76 GB address space without bank switching. Requires either a Cyberstorm PPC or Cyberstorm Mk III to work. G-REX CD-ROM with driver software included. 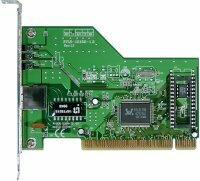 PCI Interface for Amiga 1200 towers: Five PCI 2.1 slots, 32 bit DMA mode, data transfer rates of upto 25 MB/s, 1.76 GB address space without bank switching, AT and ATX psu connectors. Requires a Blizzard PPC card to work. Fits any A1200 in V-Tower/EZTower, Winner/Power/Elbox Tower and Infinitiv Tower. G-REX CD-ROM with driver software included. The G-REX CD-ROM contains various drivers and tools for G-REX and will be available soon. The CD-ROM will be included with any G-REX, the drivers will also be made available for public download. One of the programs included is the brilliant new TV card software Visionary.